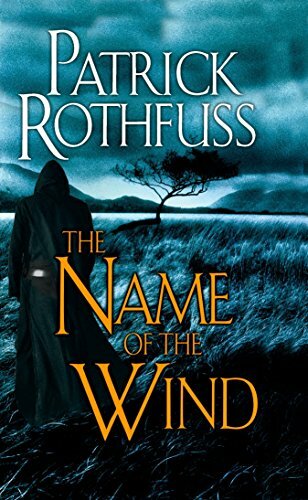 In a world full of fast-paced, edge of your seat, gasping for air stories, it’s wonderfully refreshing to find something like The Name of the Wind. This book is not a screaming roller coaster ride. It’s a pleasant morning walk on a warm Sunday. You won’t feel your stomach clench, palms sweating as you turn the pages feverishly. You won’t yell out loud in surprise or throw the book across the room after a frustrating plot twist. Instead, you’ll move along the story calmly enjoying every minute of it as if you were in a fifteen course degustation. If you haven’t realized by now, I am in awe of this book. It’s not that I’m not a fan of fast-paced stories. I am. Very much so. In fact, that’s the kind of stories I prefer to write. But this book is just special. The prose is somehow simple and lyrical at the same time. The characters feel about as real as any I’ve ever read. The dialog is impressively witty without ever feeling artificial. The world building is thick with imaginative detail and feels so lived in it’s almost palpable, and yet, there aren’t any convoluted Fantasy concepts. And don’t even get me started on the Magic system. Even calling it a “system” feels like a grossly simplistic inaccuracy. The whole thing is such a beautiful metaphor for the power of language, communication, and storytelling I could weep. And then there’s the relationship between Kvothe and Denna. Above, I said you won’t feel your stomach clench while you read this book, but that’s actually not true. You will. Kvothe and Denna’s story is so intense and well told I find myself obsessing about it during my waking hours as if I was just as in love as they are. It’s… as I said, I’m in awe of this book. I can’t promise you you’ll enjoy this book as much as I did. I can’t even promise you’ll enjoy it at all. That’s part of what makes anything special, it’s not for everyone. This isn’t vanilla, chocolate, or strawberry. This is an exotic flavor some will go insane about while others will rather pass. Give it a try. You might find that, just like myself, you have a new favorite author. A full, glittering five stars.